Harcourts Academy – Successfully buying and selling real estate is mostly about fulfilling people's needs and aspirations. That's why Harcourts people not only receive in-depth professional training (the benchmark for the industry) but are also committed to building meaningful and genuine personal relationships with their clients. And the huge volume of referrals and repeat business generated is proof that this works to everyone's satisfaction. The Harcourts Foundation - After asking our Harcourts team in 2008 if there was a better way to invest in the communities where we work, live and play, their overwhelming response led to the launch of The Harcourts Foundation in Australia and New Zealand. Our Purpose: To provide support that helps, grows and enriches our communities. Harcourts Newsroom – Keep up to date with all the latest news from Harcourts, Landmark Harcourts and NAI Harcourts nationally and internationally. Harcourts Connect– Harcourts Connect is dedicated to helping you move home more easily. They have been successfully connecting customers to their utilities for over 10 years now. They can also arrange your disconnections and other moving necessities. 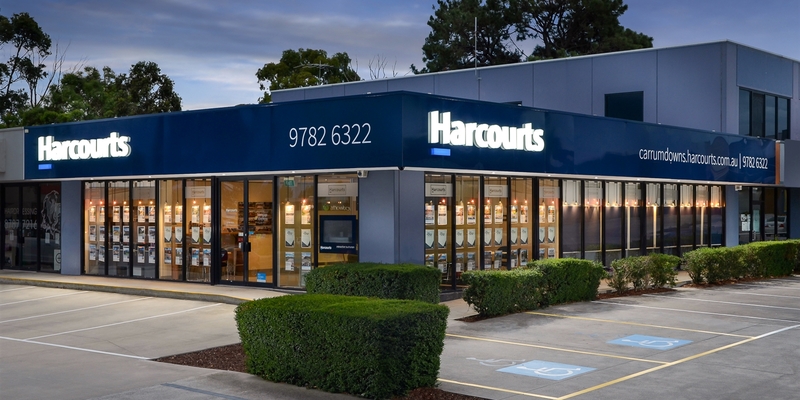 Harcourts International – Whilst the proud legacy of Harcourts goes way back to 1888, our total focus is firmly on the future. We are constantly asking how we can improve our systems; how we can offer our clients even higher levels of personal and professional service, and how we can train and equip our people to achieve the best possible results for their clients. Mortgage Express - Mortgage Express have Mortgage Consultants & Insurance Advisors throughout Australia ready to talk with you and discuss your needs. Their brokers and advisors will come to you and provide you with informed advice on your options, and take care of all the paperwork for you! Loan Repayment Calculator - Find out how much your loan repayments are going to be. Sunnyoaks Conveyancing– Leanne Kluyt and her team at Sunnyoaks Conveyancing have over 40 years combined experience in the Conveyancing Industry. Leanne is a fully Licensed Conveyancer and holds a Diploma of Financial Services (Conveyancing). She is also a Certified Practising Conveyancer and member of the Australian Institute of Conveyancers (Vic. Div.). Stamp Duty Calculator - When you buy Victorian land, which may include buildings, you are liable to pay duty. The duty payable is based on the market value of the property or the purchase price, whichever is greater. This calculator applies only to contracts entered into on or after 21 April 1998. State Revenue Office Victoria - The State Revenue Office (SRO) is the Victorian Government's major tax collection agency. The SRO administers Victoria's taxation legislation and collects a range of taxes, duties and levies. Land Tax Calculator- This calculator will determine your land tax liability including any joint ownership deductions. However this calculator does not take into account capping and trust situations. • A reduction of duty for eligible first home buyers. Real Estate Institute of Victoria (REIV)– The Real Estate Institute of Victoria has been the peak professional association for the Victorian real estate industry since 1936.